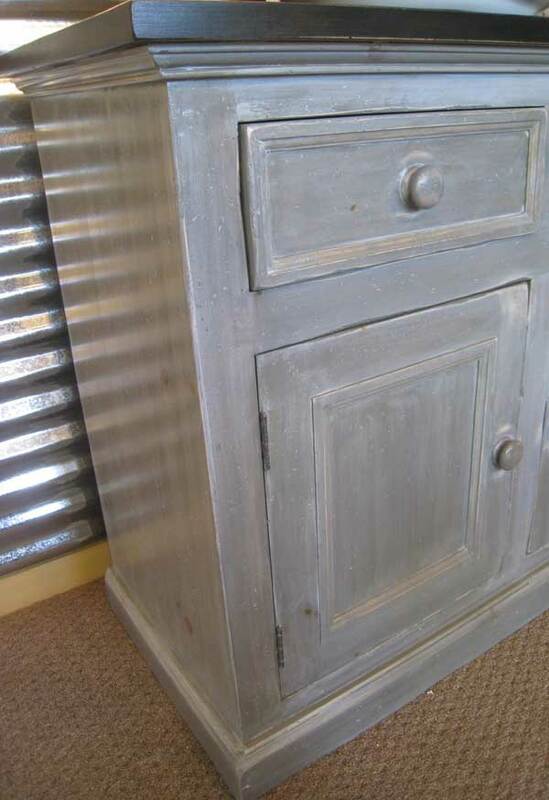 Storm Gray is a stain and glaze finish. Storm Gray is created by a base coat of gray stain and a top coat of white glaze. The glazing has the added effect of deepening the color and adding interest to the finish. We also distress the surface as part of this color but you may opt to not have it done. 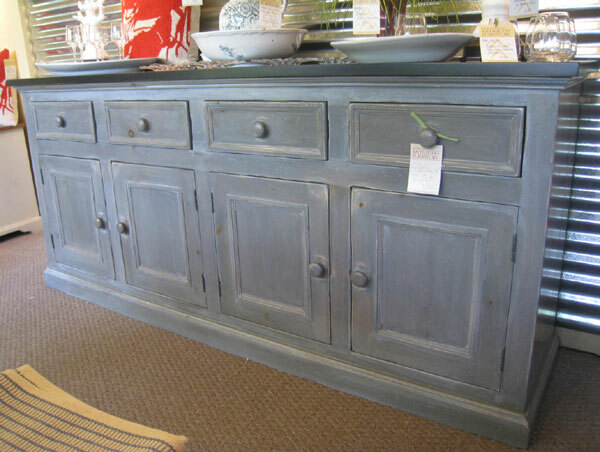 The item shown is a 4 Door Sideboard.